Assembling the MEXT Scholarship Application requirements is like a scavenger hunt with secret rules. The required documents for the Monbukagakusho (MEXT) Scholarship application do not change year-to-year, so you can get started on acquiring these before the guidelines are ever released – and at least in one case, you might have to, because there won’t be enough time later. The required documents are not simple. In fact, one of the most confusing parts of the MEXT scholarship application is the Letter of Recommendation. Most of the source of the confusion is really bad explanations by Monbukagakusho and the universities. I single-handedly processed over 500 MEXT scholarship applications and I think I’ve seen nearly every question there is. So after reading this article, you should know everything you need to get your application in order. Note 1: These are the requirements as listed by Monbukagakusho. The university that you apply to may have additional requirements. If you’re confused about those, please ask in the comments! Note 2: I am not including the Application Form or Field of Study and Research Program Plan here. Each of those is complicated enough to merit its own article. All documents must be in Japanese or English or have an official Japanese translation attached. To the maximum extent possible, all documents should be typed (not handwritten) and should be printed on A4-sized paper. 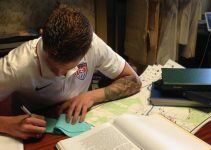 *I know that Americans, Mexicans, and others do not typically have access to A4-sized paper. You will not fail the application for submitting on letter-sized. *Indonesian transcripts and a few others tend to be printed on very long pieces of paper. Those are OK to submit. Documents will not be returned to you under any circumstances. “Your current university” or “your most recent university” are going to appear several times in these instructions and in the university’s application guidelines. Only universities that you attended for degree programs- specifically, bachelor’s, master’s, or PhD, count. Certificate programs, associates degrees, short-term study abroad, job-related training or anything else does not count. If you are currently enrolled in a degree program, then “your current university” is obviously the one you are enrolled in- even if you are in your first semester. Even if you plan to quit that university to take the MEXT scholarship. If you are not enrolled in a degree program, then “your current/most recent university” is the last one that you earned a degree from. If you are in a dual, triple, etc., degree program, then it’s a little fuzzier, but for convenience, the university that you are attending as of the time of application makes the most sense. (Typically, that would also be the last university in the program). Got all that? Good. Let’s get in to the documents. Update: The description below only applies to the Unviersity-recommended MEXT scholarship application process. If you’re applying through the Embassy, you do not need to worry about this. If you are applying to a university, I have a clarification about who needs to write your Letter of Recommendation, based on the relationship between your universities. You can find that clarification in my article about the 2018 University-Recommended MEXT Scholarship Application Process. Addressed “To The President of [Name of University]” – You MUST have the president’s title in there. I saw a few applicants try to get cute and write the president’s name. Good job on the research, but since they didn’t write the title, it was no good. Recommend you for the the scholarship – Somewhere in the letter, it must say that the person is recommending you for the Monbukagakusho Scholarship. This should be obvious, but I still see people leave it out. Signed by the Dean or Higher – Vice Deans, Department Heads, Advisors, etc. are all no good. Really, as long as the greeting says “To the President of [University Name],” that’s all you need. No fancy templates or formal structures. Do not write “To Whom it May Concern.” That will not be accepted. Include the following sentence somewhere in the letter: “I wholeheartedly recommend [your name] for the Monbukagakusho Scholarship at [the university].” Since some people out there are going to take me too literally, replace the words in brackets with your information. The rest of the contents don’t really matter (but having concrete proof of your merit doesn’t hurt). Yes, I have seen applicants leave the brackets in before. Don’t be that guy. You write a draft of the letter. Include all the required points (don’t leave room for the Dean to screw it up), and include a few highlights of your academic achievements. Make sure to include the Dean’s signature block (or ask your advisor to put that in). Take the letter to your academic advisor. Tell him/her that you need a Letter of Recommendation signed by the Dean of the faculty and show them the draft that you’ve written to make it easier on the Dean. With the possible exception of writing the draft yourself (that’s something I added based on my personal experience), this is how Letters of Recommendation work in Japan. Deans don’t write them (they don’t know most students personally, after all), they just sign it based on their trust of the professor and department head that ask them to do so. One word of warning: Get started early. I’ve found that Deans and Department Heads tend to be gone a lot to attend conferences or visit partners. MEXT is not going to accept a Vice-Dean’s signature because the Dean was out of the office. In that case, you’re going to need a university president, provost, etc. 3.5 cm wide by 4.5 cm high. (Portrait style, not landscape!) If you can’t get photos printed in that size, then use a ruler and scissors to trim them to the appropriate size yourself. Formal ID-style photo: It should show you from the armpits up, facing straight forward, with no glasses or hats (religious headwear is acceptable where culturally required). Photo must be no more than 6 months old. If it matches your old passport photo, you’re going to get caught! Plain, white background. No patterns, designs, crowds of people or anything else. Write your name and nationality on the back in ballpoint pen. Make sure it doesn’t show through to the front. Send three photos (even if the school only asks for one). You don’t want to have to express mail a replacement if something happens to your only photo. Attach one photo to the application form with glue or double-sided tape. Do not staple your photos. Yes, it really should be straightforward, but I have seen applicants screw up every single one of those requirements in the past. Basically, this has to show your full legal name (in English letters) and birthdate. If you have a passport (even if it’s expired and you’re renewing it), send a copy of that. If you don’t, then send a birth certificate, national ID, driver’s license, family register, or any other document that shows your full name and birthdate. Then go apply for a passport. All you need here is an original transcript in English. If you can get that issued by your school, then you’re set. If your school does not issue transcripts in English, then you need both the original document issued by your school and a certified translation. Certified TranslationsThe best way to get the translation is to have it certified as accurate by an official (e.g. registrar) or professor at your school. If you can’t get that, you’ll need it translated and certified accurate by a professional translator. Make sure that the translator’s certification is in English! This was a particular problem with Vietnamese applicants in my experience. The accuracy certifications were only written in Vietnamese, so that does no good. If your school does not issue extra original transcript or if your school only issues “pdf originals”: Take a copy to the registrar and have them sign to certify that it is identical to the original. You should do this even in the case of “pdf originals”, rather than sending them directly to the university that you’re applying to. Japan still doesn’t trust electronic signatures in most cases. If you transferred schools or participated in a Dual Degree program, you’ll need the transcript from all schools you attended for your last degree. The MEXT scholarship requires two years of grades, so you’re going to need the transcript from your previous degree program, too. You will also need the “explanation of the grading system” from your previous degree, which I will cover below. This is usually a problem for Master’s students who only have 1 year of grades on their transcript at the time of application. Do not send your only diploma to apply for the scholarship! In Japan, it’s easy to get extra certificates of graduation (which are not diplomas) saying that you’ve graduated, so they think it will be easy for you too. (And they really don’t care if it isn’t). Check your transcript. If your transcript shows your degree awarded and awarded date, then it can double as a certificate of graduation (it’s a formal certificate and it shows your graduation). If your transcript doesn’t show it, then a copy of your diploma that is signed by the registrar as being an accurate copy will work. You could also get a letter from your registrar confirming your graduation date and degree earned. You need a “Certificate of Expected Graduation” that states your expected graduation date, to show that you will graduate before you start your MEXT scholarship. Your university needs to certify that you will graduate by [date] provided that you complete all of your remaining requirements as expected. Essentially, the university is saying that they know of no reason why you would be unable to graduate by the expected date. This certificate can (and should) be conditional on your performance. In almost all cases, this takes the form of a “explanation of grading system.” Search wikipedia for “Academic grading in [your country name]” to see an example of what this is. But if you earn a 70% in some universities in India, that is “Outstanding” and would correspond to a “3” on the MEXT scale. The thing is, even if the staff at the university know that system, from past applicants, etc., they still need you to submit proof because they need the formal documentation to be able to submit your recommendation to Monbukagakusho. In many cases, this explanation is printed on the front or back of transcript itself- especially if your country uses a letter grade system, the ECTS system, or a point scale. If that’s your situation, great, you can skip down to the next section. If your grading system isn’t on your transcript, talk to your registrar and ask them if they have a table or other document that explains in. If they do, get a copy of it and have the registrar sign it. Another place you can check is your study abroad office. If your university does any student exchange or study abroad, they need to be able to convert grades between your institution and universities overseas, so that office might know how to help you. In the worst case scenario, I know of applicants who wrote up a chart themselves, based on the model on wikipedia, and got the university registrar or their academic department head to sign it. I know that in marks systems, you add up the total number of marks earned across all classes and then divide that by the total number possible to get your final graduation grade. But Japan is going to convert your grades class-by-class. Monbukagakusho requires that it be done that way. Then the Japanese university is going to go class-by-class through your transcript and convert your grades to the 3.0 GPA system. In the event that you absolutely cannot get an explanation of your grading system, you’re going to face an uphill battle to get consideration from the university, but it is still possible, in theory. Basically, if you are too “unique” of a situation, or require too much work, the university is going to favor applicants who make it easier on them. So you should do as much legwork as possible and make it easy for the professors and admin staff where you’re applying. Remember, at this stage of the application, you’re just one of hundreds of people competing for a handful of slots. The university doesn’t know who you are or what you’ve done, so they have no reason to give you special attention. You need to earn their attention. Other forms of proof of academic performance can include class order of merit, academic awards or other external recognition in significant or international venues. Papers published in known, peer-reviewed journals or presentations in (preferably international) conferences. Anything that can be evaluated numerically is in your favor: “first place”, “number one”, “top student I have ever seen”, etc., are all good buzzwords. Still not clear? Hit me up in the comments below! If you don’t have a graduation thesis because your degree didn’t require one, then use your most significant paper instead. The paper should be related to the topic you propose in your Field of Study, of course, and should be your best/most significant work. Unlike this blog post, the outline should be short and to the point. One page is a good target, but I’ve seen 1/2 to 3/4 of a page work just fine. Don’t go any longer than 1 page unless the university specifically tells you to. Don’t send the whole thesis, either. It’s going to cost you extra postage and nobody is going to bother reading it. You want formal international test scores, such as TOEFL or IELTS for English or the JLPT for Japanese. Don’t even waste your time. Yes, these tests are expensive, but don’t expect the universities to care. The Monbukagakusho scholarship is a merit-based scholarship, not need-based. If you start complaining to the university about cost at this point of the application, you’re going to poison your relationship and your chances. The universities in Japan know that, in most cases, you can get an English language proficiency test score (TOEFL iBT) in about 3 weeks, if you’re really trying, and they will look up when tests are offered in your country if you try to claim there is no availability. Just a heads up. I saw that excuse a lot- and usually wrote those applicants off as too lazy to consider for the scholarship. What if my Education was in English? If English is your first language, you can almost certainly get this waived. (There may be one or two stubborn universities that will insist on another form of proof like a GRE English score, but I haven’t confirmed this). If English is not your first language but you graduated from university in Australia, Canada, Ireland, New Zealand, Singapore, South Africa, the UK, or the US, most universities will consider that sufficient, although they may ask you to also submit a copy of the proof of language ability you submitted when you first enrolled in that university. If you’re from India, Bangladesh, Ghana, or any other country where English is not the primary language of daily life, but you attended tertiary education in English, do not expect to get this requirement waived. By this time, almost every university in Japan has admitted at least one international student who graduated from an English-taught program only to find out that the person has no English ability whatsoever. They graduated from the English program by getting extra tutoring outside of the class in their native language, or because the program wasn’t really all in English to begin with. Heck, this has been known to happen in “English-taught” classes in Japan, too. Similarly, submitting grades from English as a second language courses isn’t generally going to work, either. Just because you can pass a class doesn’t mean you have any ability (Japan’s own English language education – one of the worst in the world – proves this). Just saying “the applicant’s language ability is sufficient to complete a degree in English” was not enough. For most applicants, this won’t apply. Don’t send in your Microsoft Word training course participation certificate (yes, I used to get those – and throw them out). Don’t send in your community service participation certificates- unless it was directly related to your field of study. Relevant certificates are professional or government licenses related to your field of study. For example, if you’re applying for an architecture program and you have passed the LEED Exam, that’s relevant. If you’re applying for a public health program and you volunteered for Doctors Without Borders, that’s relevant. I processed over 500 of these applications and never once saw a relevant certification. So, if you don’t have one, don’t worry about it. This requirement will vary from university to university. Monbukagakusho only states that “universities are responsible for ensuring applicants are physically and mentally healthy.” It doesn’t require a specific form. However, a lot of universities will use the Embassy-Recommended Monbukagakusho Scholarship health form for the sake of simplicity. Every field is mandatory – double check that everything is complete before leaving the doctor’s office. Related to that – the forms is really badly designed, so you might want to consider highlighting the fields for your doctor before going to the exam. It’s easy to miss some of them. The X-Ray fields are the ones that trip applicants up the most. You must have a chest x-ray, even if your doctor doesn’t think it’s necessary. You need to fill in the date that the x-ray was taken as well as the film reference number (the index the doctor would use to look it up again in the future). In some cases, the reference number might just be your name and the date- that’s fine. Leaving it blank is not. Do not send actual x-ray film through the mail. If you are attaching test results, make sure they’re in English and highlight everything that corresponds to one of the fields on the form. You should now be ready to collect and submit all of the required documents for your Monbukagakusho Scholarship application. Hopefully, with this list you can breeze through the requirements and spend your time where it’s most needed- on the Field of Study and Research Program Plan. The only mandatory form that I haven’t discussed yet is the Application Form. That one gets its own article next, and I’ll walk you through the badly-translated and poorly worded questions one-by-one. In the mean time, if your university requires any other documents that I haven’t mentioned above, tell me about them in the comments below, and include a link to the university application page, if you can! I’m sorry If this question sounds a bit off since this matter got me confused and I’ve been taking instructions quiet literally, thankfully your website has been very helpful. in the graduate guidelines where they said we should “number our documents 1 through 11” does that mean we should number the pages or number every document listed on the table according to its number listed next to it. The instructions in the guidelines mean that you should number the first page of each document, referring to the number in the table. Thank you very much for your efforts, your articles are so helpful. I have a question regarding proof of outstanding academic achievement. My prospective graduation university requires an “Official Transcript”, which indicates the grading system at my recent university and an “Official document indicating your high achievement in the most recent university”. So, this implies that I will have to submit two different kinds of documents, won’t I? Or I just need to submit one “Official Transcript” including the grading system as you said above. Sincerely thank you in advance. In practice, the grading system on your transcript is the proof of your outstanding academic achievement, because it shows the strength of your grades. Other documents that can also help are statements of order of merit in graduation, awards in your field, etc. If you have any of those things, this is a great way to get them considered in the application to help you case. Can i still meet up with this year 2018 scholarship? Because i thought the 2018 scholarship has already close and if the 2018 scholarship has closed, when is the 2019 scholarship will be on. The 2018 scholarship application (for studies to begin in 2018) is long since over. For the 2019 scholarship (studies to start in 2019), the Embassy Recommended MEXT Scholarship application is over, but there is still time to apply for the University Recommended MEXT Scholarship. The application start date depends on the university. If you want to get started finding a university and learning when to apply there, I recommend you read my recent article on the How to Apply for the University Recommended MEXT Scholarship. I have a question regarding additional documents I can add to my application to increase my chances of getting accepted. I don’t know that the embassy would consider additional documents that they didn’t ask for. I know when I screened applications at the university level, if applicants sent anything that wasn’t on the list of required documents, we did not show it to the review committee. Your past trips to Japan would be listed in your application form and if your research internship was relevant to the field that you plan to study in Japan, you can certainly reference it in your Field of Study and Research Program Plan, as well. Since those documents are sure to be seen, I would suggest those as your surest bets to make it visible. For medical certificate do i need to conduct all the tests or what is the procedure to so. Please tell a way how to fill the medical certificate. You need to take the medical certificate to a doctor to have him or her complete all of the tests. I would also recommend that you confer with the embassy or university’s guidelines, first, to make sure they don’t have any further instructions. Do i need to submit letter of recommendation for embassy recommended mext scholarship? Yes, you do, but the formatting and requirements are different. I would recommend that you read my articles about the Embassy Recommended MEXT scholarship for more details! Please how many Recommendation letters could one submit for the MEXT Scholarship? This is because my university Programme Adviser only filled, signed and sealed one recommendation letter but while checking the checklist it is required that we should submit one original and 2 copies. Please I don’t understand. You only need to submit one academic letter of recommendation (plus one from your employer if you are working full-time), but you should submit the original, plus two copies of the same letter. If your advisor only put the original in a sealed envelope, then you should contact the embassy for instructions. I have heard different guidance based on different countries (some say to open it and make copies, some say to just submit the one original), so the only way to know what is accurate for you is to contact your local embassy/consulate. Thank you flr your effort i really appriciate it. I would like to ask you about the recommendation letter. Do i have to take the example in the website l. Because i already took a recommendation letter from my professor and he wrote that he recommend me for the scholarship i’am attending without saying its name. Is that alright? Other than that about health certification same as well do it have to be in The form in the website? Finally about paragraphs which ask what is your impression about japan and the other question (why we choosed those choice) please help me how to write them. You do not need to use the form on the website for the recommendation letter, that is just an example. However, I think it would be better if your recommendation letter specifically said that it was for the MEXT scholarship. For the Certificate of Health, you do have to use the form on the website. For your last question, that sounds like it may be something that your embassy/consulate created. As far as I can remember, I have not seen those question in any of the MEXT forms, so I’m afraid that’s not something I’m familiar with. However, I did address a similar topic in my article about how to prepare for the interview, so that might help you. I have been reading all of your MEXT articles and I cannot thank you enough for sharing all these information which are indispensable to my application for the MEXT scholarship. I will be applying for the 2019 MEXT embassy-recommended route, and I would like to ask for your advice on the recommendation letter from my current employer. I work in a small start-up business (we are only 4 employees in the company) which I co-founded with my boyfriend. My boyfriend is the legal owner of the company, and so technically he is also my employer and boss (although in actual, we both run and manage the company together). I have been working for this company for 2 years and 3 months (March 2016 to present), and prior to that I took my Masters degree. I left my previous job in February 2015 so that is a long time ago for me to consider asking for a recommendation from my previous boss. How do you suggest I go about with the recommendation letter from current employer requirement? It would not be appropriate to ask one from my current boss, and it would also be false if I state that I am self-employed (thus eliminating the need for a recommendation letter from employer) since it is my boyfriend who owns the company. Appreciate your time in reading my comment and looking forward to your response! I would still recommend that you ask your boyfriend/boss to write the letter. In that letter, he would just talk about your responsibilities and what you do for the company, so even though you are dating, that should not come out in the letter. For the sake of full disclosure, you can also tell the embassy staff that you founded the company together (mention that you have other employees) and that while you run it together, he is the legal owner. Then you can let them decide whether or not the letter is necessary. But in either case, it is better to have it in case they want it. Hi Travis, I must say that your blog is amazing and unique. I know that this post refers to the university recommendation. But I am reading through the comments and it seems common(or even required?) for embassies to ask for the letter of recommendation. However in the case of mine, it is just not in the list of documents. *The documents will have to be translated to English or Japanese after the first phase. I was quite happy with that, because asking for a letter of recommendation to my advisor would probably mean losing my job, or at least not looking good(he is a professor but also a director of my company). However yesterday I saw that most, if not all, universities require a letter of recommendation in their documents for the embassy recommended mext. Not only that, but all documents must have the embassy seal. of all the documents I had to submit to my embassy? If you are applying for the Embassy-recommended scholarship for graduate students, you are going to need to submit a letter of recommendation, but it might be the case that they plan to ask for it later, after screening the first round of documents. The documents that you listed do not look at all like the full list required by MEXT, and as far as I know, the MEXT requirements for the 2019 Embassy Recommendation application process are not released yet, so it looks like the embassy there is doing a pre-screening. I know some embassies do that to narrow down the field of candidates before the application process even begins. As far as I know, the letter of recommendation is always required. 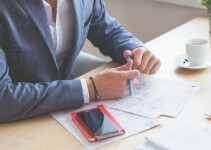 You would need one from your advisor, dean, or president of your last university and typically one from your employer, as well, if you are working full-time. For the Embassy Recommendation, however, there is not strict formatting requirement like there is for the University recommendation. Hi Travis, thank you for your dedication to helping all of us MEXT scholarship applicants. I am planning on applying for the 2019 Embassy Recommended MEXT Scholarship and have a question regarding the recommendation form. The instructions say that the recommendation needs to come from a dean or advisor. I’m planning on getting it from an advisor, but do you know how strict they are about this? I ask because the professor that I’d like to get the recommendation from was not technically or officially my academic advisor (like on school records), but he did do a significant amount of advising for me, especially for my undergraduate senior thesis. Do you think a recommendation from this professor would still be acceptable, for example if he writes that he advised me academically for the second question on the recommendation form, “What was the nature of your relationship?” Thank you. If the professor writes that he was your academic advisor for your senior thesis, that should be good enough to meet the “advisor” requirement. As of last year, there is no longer a required format for the recommendation letter for the Embassy Recommendation, so you don’t necessarily need to use that format unless your embassy asks you to. Even if you don’t use that format, make sure the professor specifically mentions his advising role! I am an Indian student looking for a undergraduate degree and what my marks are like 51% in high school but stellar in 12th grade. You’r going to be evaluated based on your grades for all years of high school. Unfortunately, I don’t have any direct experience with how high school grades are evaluated or with the grading system in India, so I don’t know what the standard is that you should be looking for. However, for what it’s worth, in the Embassy Recommendation MEXT scholarship application process, you will only be competing against other applicants from India, so everyone else will be coming from the same system. I want to apply for UG Course this year and I saw one of your sample application form for MEXT SCHOLARSHIP and in academic record section we are asked about our primary, secondary and higher education. Do we have to submit all academic transcripts for all the years or just academic transcript required for UG Courses. Can JLPT certificate of N4 give me an edge over others? You need to submit your transcript from the last school you graduated from. If you’re applying for the MEXT scholarship for undergraduate studies, you would submit your high school transcript. An N4 certificate itself will not necessarily give you an advantage, but it’s all about the presentation. If you can show the interest in Japan and dedication to studying there that led you to acquire that certificate, that can show that you are a more serious candidate and give you an advantage in some reviewers’ eyes. It would all be subjective, though, so it’s up to you to make the case as to why having N4 makes you a better candidate. I’d like to ask about the recommendation letter. What if the Dean office has never issued any recommendation to students because dean doesn’t know the student personally. Template letter made by the student is usually rejected as well. Is it acceptable if the letter is written & signed by head of dept (cc to dean) and then legalized by stamp from dean office. Thanks. I’ve seen it accepted if the student’s advisor writes the letter and signs it then sends it to the Dean’s office for the Dean to sign as well. It would still need the Dean’s signature in that situation, though. I don’t know if a stamp would work unless it was coming from a culture (like Japan) where personal seals are used in place of signatures. You might want to double-check with the university to see if they would accept it. At that point, the Dean is not necessarily signing off that he or she understands all of the contents of the letter personally. Instead he or she is signing to indicate trust in the advisor/department head’s judgement and comments. My name is Hironmoy. I have a question regarding the language ability proof for embassy recommended MEXT scholarship for research student. Are we supposed to give our language proof in English during the screening process or after joining the university? i don’t have any proof like TOEFL. For the Embassy Recommendation MEXT scholarship application process, you do not need to submit proof of language proficiency to the embassy, since you will take a language proficiency exam there during the application process. However, some universities will ask you to submit TOEFL or other forms of proof of language proficiency when you apply to them for an LoA, so if you don’t have test scores, it may limit where you are able to apply. Hi there! Thank you for sharing information about mext! I’ve completed my masters supported by Mext and currently waiting for extension results to continue PhD study. However, I have concerns that I might not be able to complete the next three years program and possible to quit halfway. In such circumstance, will I be requested to return the allowance since the beginning of my doctorate program? You would not be required to pay back the stipend you received if you have to leave the program for unavoidable reasons. However, you would not receive any further benefits from the time you quit, including the flight home. I would recommend that you think hard about your plans in advance though and really consider whether you can finish the degree. I hope you are doing well. I would like to ask regarding with the recommendation letter. My professor who wants to get me as her student told me she will be writing a recommendation letter? What does it mean? Does it mean i do not need to ask a recommendation from my previous University in my country? Please let me know. A recommendation letter from the professor who plans to accept you might help with the internal screening at that university, but it does not replace the letter you have to acquire from the university you graduated from. It’s great to have that kind of support from your target university, though! Is there any article you have written about Undergraduate Embassy Recommended MEXT schoarship? I searched on your website but can’t find. I found an article about language proficiency which says that one have to submit TOFEL score for admission but it was for University Recommended MEXT schoarship. Do I need one? Don’t consider me as a selfish person but There are many confusion in my mind like this one because most of your articles are about Research schoarship. However those articles alos cleared many confusion from my mind. My area of expertise is the MEXT scholarship for research students/graduate students. I have not done any research into or written any articles on the undergraduate scholarship yet. I may add articles about the undergraduate scholarship once I am satisfied with the research and resources about the graduate scholarship, but in the meantime, I would recommend that you try to find another expert in that area. Under MEXT (Undergraduate) in which language they provide education? It’s English or Japanese? 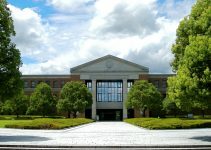 Do I need TO FEEL or JLPT score to get admission? There are some programs taught in English and some in Japanese. You need to find a degree taught in your language in your field of study. I have some links to sites that will help you find that in my article on getting started with the Embassy-recommended MEXT scholarship. I also covered language proficiency test requirements in my recent article about the 2018 university-recommended MEXT scholarship. Hi Travis! Thank you for your blog. I have a question on my application for the MEXT Scholarship under the University-recommendation. I am applying for a slot at TiTech under their International Graduate Program. My question is regarding their application fee. There is an application fee of 30,000 JPY. Do you have an idea if there is a possible way that this fee could be waived? According to a friend of mine who is currently in TiTech, during his application, he did not pay any fees. So is this fee like general and similar to other universities for their graduate programs? Thank you very much! I don’t know about TiTech, specifically, but as far as I understand, universities aren’t allowed to charge application fees to MEXT scholars. I have seen them implement two different approaches to that requirement. The first is to have a separate application process exclusively for MEXT scholars with no application fee. (That is what we did where I worked). The second, is to select University-recommended MEXT scholars out of applicants for their general application pool. In that case, MEXT applicants pay the same fee as everyone else and, if they are selected for the scholarship, the university refunds the application fee after students arrive. If you want to know about TiTech specifically, I would suggest you contact your potential advisor there or the office is handling applications. Another question Travis, I am not sure if this question is discussed already, it is about recommendation letter. Another requirement is an evaluation sheet or/and a recommendation letter from your previous supervisor. To whom do you think this one is addressed to? Unlike the recommendation from the dean, it is specified to be addressed to the “President of the University”. Also for the transcript of records requirement, the we have here in my university is in the form of grade weighted average (GWA), however, in my transcript there is already a section on how these number are “transformed” to the letter system and GPA system. Do you think this is enough as a requirement already or should I request another document that explains the grade equivalent to GPA? For the recommendation letter, I want to make sure I understand correctly. This is a letter in addition to the letter from the Dean? The Letter from the Dean, addressed to the President of [university name], is the one that is required by MEXT. So, if the university is asking for one from and advisor/supervisor, that is for their own purposes and shouldn’t have the same strict formatting requirements, unless they say so. In that case, it could be addressed To Whom it May Concern, or to the President of the University. It should not make a significant difference. If your transcript shows how exactly each of your course grades can be transformed into a letter grade/GPA system, that should be enough, but without seeing it, I can’t be certain. I would recommend you ask them in advance. You could email them a scan of it to make sure it meets their requirements. as I told you I have completed my graduation with good scores but after that, I couldn’t get admission due to some problems now I am doing masters from a well-known university and I have applied for an embassy based scholarship but as I can see that I must not have fulfilled their requirements properly.now I want to apply for university-based scholarship so please tell me, 1) from where should i get my recommendation letter?either from previous university or the one am attending right now , as I am about to start my research work here I have done my synopsis and 1 or 2 other abstracts too, but am not satisfied here. 2) what about my plan of study or field of study should it be the one I have done in bachelors or the one am currently working on? 3) what is the final date for submission of application and when does it start for 2018? 4) what would you suggest me on how to choose my university as I have only 1 choice? Will you apply for another Master’s in Japan or for a PhD? That would impact the answers to some of your questions. 1) Your recommendation letter must come from the Dean or higher of your current university. 2) The Field of Study and Research Program Plan is about what you plan to research during your degree in Japan. 3) It depends on the university. You need to decide what university you want to apply to and follow up with them. 4) I have written several articles that discuss how to choose a university on this site. The most recent one was Embassy-Recommended MEXT Scholarship 2018: How to Get Started. Even though you want to apply for the university-recommended MEXT scholarship, the same process applies. You just have to choose one instead of three. Greetings from Colombia, Mr Travis. You see, I hope I get noticed as soon as possible. I just graduated from bachelour from a private school and I am aiming to the Undergraduate Scholarship. We could say my school was not the best in terms of ”topics” so I had to study hard. I’ve been studying for a month. 1) Do I get noticed if i was not elected to do the exams? If no, do you recommend calling? 2) In my ”Proof of outstanding academic performance” no formal numbers were given. You see, my school graded the subjects with adjetives. (i.e Math = Superior – Chemistry = Fair – Physics = Poor, etc.) But information like: Superior: 10-8.5 Fair: 8.4- 7.5 were written. I don’t know if I am making myself clear enough. Beforehand, thank you a lot. Is there any problem with the lack of numbers in the ”Proof of outstanding academic performance”? PD: Today is the day the committee elects those who can make the exams. Typically, proof of outstanding academic achievement is through your grades on your transcript plus an explanation of the grading system. If you have those two things, then that should be sufficient! I suppose by now you’ve heard back about whether or not you could take the exams. I hope it was good news! 1) It varies from country by country. But if you know that the deadline for them to release the results has passed and you have not received a notice, then yes, I would recommend calling. 2) That’s fine. You don’t need to have numbers, just a clear system. If the relationship between the different word grades is clear, then they can convert that to the GPA system, so there will be no problem! Is this information is for University recommended? It looks like that. For Embassy recommended, can you please throw some light upon recommendation letters? Yes, this article was about the University-recommended scholarship application. You mentioned that applicant has to put “to president of the university” in the letter of recommendation. Does it mean that I should request my supervisor to write three letters of recommendation with different university names written? Because preference form says that we should list three preferred universities, if first one doesnt work out then I have to apply to another two. The instructions to address the letter of recommendation to the president of the university are for the University-recommended MEXT scholarship. For the Embassy-recommended MEXT scholarship application, “to whom it may concern” should be fine. If you were to choose Japanese as your major in Japan, that wouldn’t be learning Japanese as a second language. The point of a Japanese major in Japan is to teach native Japanese speakers how to become experts in their language. So I don’t think that would be an appropriate choice of major unless you already had native fluency. Also I am going the embassy route. My Embassy advisory told me that a professor or professional recommendation letters are okay. But does volunteer services count as professional? I have an ex supervisor that I worked under for the longest for child care and want a recommendation letter from her. I am also trying a few professors as well. Typically, an explanation of the grading system (usually found on the back of US transcripts) is enough. That helps the embassy/universities see what your grades actually mean. Of course, if you have any documentation with your order of merit in the class, proof of academic awards, etc., you can include those, too. In my experience, no, volunteer work would not be considered “professional” to meet the letter of recommendation requirements. An academic letter would be preferred if you are still in school. A professional letter would only really apply if you were employed full time. A1. Does that mean I shouldn’t use those letters and instead just obtain one from the Dean? A2. Can I still use those letters and include one from the Dean, or would that be annoying for them? A3. Can I still use those letters and just add the Dean as a signatory? Also, right now I am a medical student on leave because I felt like medical school wasn’t what I wanted. I am already on my third year, and although I never failed any subjects, my grades in medical school aren’t spectacular. Also, since I stopped after the first semester, they also are not complete. My undergraduate grades however, are very good, and I have received latin honors. B1. I am planning to submit both my medical school (not so good) and undergraduate school (very good) transcripts/grades. Would that be okay? Although I did not do well in my current school, I want to let them know that I was very good in Biology when I graduated college. B2. Which Dean should I request a recommendation letter from: the current medical school, or the undergraduate school? How you deal with recommendation letters changes significantly depending on whether you want to apply for the university-recommended scholarship or the embassy-recommended scholarship. For example, you need a recommendation letter from the Dean if you’re applying for the university-recommended scholarship, but for the embassy, a letter from your advisor is sufficient. You also don’t need to worry about how the letters are addressed for the Embassy-recommended application. If your senior used the approach you described and it worked, then far be it from me to criticize it. Based on my experience (with the university-recommended scholarship), the letter of recommendation wasn’t really significant and we only wanted one (because MEXT required us to collect one). Any that didn’t meet the requirements never even got forwarded to the screening committee for consideration. I don’t think they ever made a difference in whether applicants were accepted or not, at least for us. I do not recommend submitting multiple letters, but if you do, then yes, get them countersigned by the Dean, especially for the University-recommended scholarship. I’m a little confused about your medical school history. You said that you were in your third year but stopped after your first semester? I would double-check with the Embassy or university you are applying to, but the way we handled it was that if you were going to drop out of med school and had no intention of acquiring that degree, we would have evaluated you based on your undergraduate performance. In that case, your undergraduate grades would be most important and you would get the letter of recommendation from the Dean there. If, on the other hand, you do plan to go back to finish med school, then we would have evaluated you based on your med school performance and used the letter of recommendation from that Dean. does that mean ,I submit this letter only when I pass the primary screening and get invited for an interview? So, you should submit the letter from your employer with your other application documents if you are employed, but you wouldn’t have to submit it at all if you are not working. Thank you for your detailed information regarding MEXT. I have scored 90 in TOEFL-iBT. Wil that be sufficient? MEXT does not list a minimum TOEFL score for the scholarship application. Typically, it would be the universities, if anyone, that want to see your scores, so you’d have to look for their standards. However, in many cases programs won’t list a minimum score for MEXT-based admissions, since there’s no official minimum from MEXT. Universities are just required to establish that you have sufficient language proficiency to complete your degree. By that standard, a 90 on the iBT should be good enough for most programs! It seems to me that by abstract of thesis they went more of an outline i.e. background lit, method, analysis, outcomes, etc. Can you confirm this? I’ve always been given the impression that an abstract of a thesis is one paragraph of text? If they do want more out the whole outline I can move over a lot of present field of study to the abstract making my research plan document significantly smaller. When I handled these applications, we wanted to see an approximatey 1-page summary of the paper. For the university recommendation, the university is required to fill in the subject of your last thesis when nominating you to MEXT, so we needed just enough information to be able to answer that section clearly. So, for that purpose, we would not have needed all the detailed sections you mentioned. Of course, you certainly need those for your field of study and research program plan! For your present field of study (really your past field), you don’t need to go into that level of detail either. Just a paragraph, at most, there about how your past research connects with your intended research in Japan should be sufficient. I would recommend that you save your space to focus on your intended research under the degree program. Japanese language ability is not a requirement for the scholarship at the undergraduate or graduate levels. I don’t think 1 year is going to be enough to get you to the point that you can take classes taught in Japanese, but you should be able to find programs taught in English! I have the same question but i don’t have IELTS or TOFEL or JLP is it ok? For Embassy-recommended undergraduate MEXT scholarship applicants, you do not need to submit any language proficiency test scores during the document screening. You will take language proficiency tests at the embassy itself later on. Thanks a million for your invaluable knowledge. I have a question regarding English language proficiency. I took an IELTS test (7.0) at the end of October, 2015, and it will expire on this October, 2017, while the final result of MEXT is expected to be notified in December. Thus, do I need to re-take the test? Your English language proficiency test scores would have to be valid as of the application deadline, not the announcement of results. From the timeline you described, it sounds like you’re applying for the Embassy-recommended MEXT, so you’ll submit your documents to the Embassy around May-July (varies by country) and contact universities for Letters of Acceptance in August, so your scores will be fine for that. However, if you do not pass the Embassy’s primary screening and decide to go for the University-recommended application, the submission deadlines for that are later than October, so you would need a new test. Hello, thanks for your blog, Im planning to apply to the Embassy MEXT Scholarship for a doctral degree and have been refering to your post for it. As mentioned, my planning to get that letter needs to be perfect to 1: get it on time and 2: get it at all.!!!! I would really like to be the first to apply at my embassy. I think I have accidentally misled you with this post: This is part of a series on applying for the University-recommended MEXT scholarship. The Letter of Recommendation requirement for the Embassy-recommended MEXT scholarship is different. (Most of the other requirements are identical for both application processes, so the other items on this page should still be relevant, I hope). For Embassy MEXT applicants, there is a specific letter of recommendation form that you use. There is no place for the recommender to write who the letter is to on that form, so you don’t need to worry about addressing it to anyone. If your recommender writes a second, freeform letter, then that could be addresses “To Whom it May Concern” as you suggested. The guidelines and forms for this year’s application process have not yet been released, but you can find last year’s Letter of Recommendation template on MEXT’s website. The safest thing to do would be to wait until the 2018 application guidelines are out to get the correct form, but as far as I know, this template rarely, if ever, changes so you might be able to get a head start using the old form. You might have to change references to 2017″ to “2018” instead, but that should be about it. Embassy MEXT is also more lenient about who can write the letter: It could be your advisor from your Master’s program. So happy I found your blog, there’s so much information here about the MEXT scholarship 🙂 I’m planning to apply for in April for a professional graduate course (MBA). One question about the letter of recommendation – because I’ve already graduated for a number of years, I’ve lost touch with all my academic advisers. Would it be possible instead to get a letter of recommendation from my current employer for fulfill this requirement for the scholarship application? Since you mentioned applying in April and getting a Letter of Recommendation from your Academic Advisor, it sounds like you’re applying for the Embassy-recommended scholarship, is that right? There is no explicit exception to the Letter of Recommendation rules in the scholarship documents that I have been able to find, so I would recommend that you follow up with the Embassy directly to see what they would accept. *If you are applying for the University-recommended scholarship, then your Letter of Recommendation would have to be from a Dean-level authority or higher. In either case, I would expect that if they are able to make an exception, then you would need someone fairly high up in your company to write the letter, but again, that is going to be up to the Embassy/University’s discretion. 1. I guess I won’t give my full expectations right now because since I’m under GC and I don’t know my ranking as well, is there a chance I will get the scholarship even we know that PGP nominees have the higher chances? * Have the nationality of a country that has diplomatic relations with the Japanese government. Applicants who have Japanese nationality are not eligible. Does this mean they are looking for foreign students who can speak Japanese? Did I understand this right Sir? 3. In your experience Sir, how much percentage of GC nominees got rejected by MEXT from the nominated GC applicants? I may have misspoke: PGP-eligible students have a significantly higher chance of getting nominated for the scholarship. Once you’re past the nomination stage, I have never seen or heard of a case where a scholarship nominee – either PGP or General Category – did not receive the scholarship in the end. I would say that at this point, you have an excellent chance of being awarded the scholarship. 1. With both the PGP and the General category, universities know in advance how many nominees they can submit and how many should receive the scholarship. As long as there isn’t a significant change in MEXT’s budget, you should be fine. 2. Yes, that’s right, at least under the MEXT scholarship. The scholarship is only for international students. Of course, most of the students in that course would be Japanese nationals, but they have a separate application guideline. Hello Mr. Trans, I’d like to ask if how will I know if my application is under PGP or General Category? I received an email from Ritsumeikan University that I passed the screening and they’ll be recommending me to MEXT and the results will be determined by May. The program I applied is Computer Science. -I am just confused now because I browsed from different blogs that General Category receives feedbacks by May and and PGP by July? So it means I’m under GC? -My friends who applied in Economics, on the other hand, receives an email that they will be notified by August? I am seriously confused at this point why we have different dates? Is it because of the PGP and GC stuff? -Another question, they said that they will inform me by May after knowing the results, will this notification be received by email or post mail? Hope to hear you soon. Thanks Sir. Additionally, can you please elaborate Sir the post I have seen from you before. You said that maybe the reason why universities are calling for MEXT applications is because the university has not reached the total quota for courses under PGP program? There is no sure way to know for sure until after you’re selected, and at that point, it doesn’t matter. Even if a particular university offers a PGP program in your field, you might not be eligible because of other restrictions on the program. For example, if you look at Ritsumeikan’s additional call for applications (which are all PGP programs – I can say this for sure because the deadline to submit General Program nominations to MEXT has already passed), you can see that they are calling for Master’s Degree Applicants in Information Science and Engineering, but only if they speak Japanese. Applicants to that school who applied in English or for a PhD program wouldn’t be eligible for the PGP, they could only receive the General Category scholarship. Based on your previous post, it sounds like you got that General Category nomination, so congratulations to you! Good Luck with your studies in Japan! Congratulations on getting nominated for the scholarship! If MEXT is going to release your results in May, that’s the General Category. (PGP results are released in August, at least for 2017). You will generally hear from them by email, though there should be some documents sent later by mail. The university generally isn’t going to tell you in advance whether your field of study is eligible for General or General and PGP. There are so many eligibility restrictions on the PGP that it would be more work than it’s worth. For you, once you’re accepted, it really doesn’t make much of a difference: the scholarship contents are the same. There’s really no point in worrying about it. The list you found is several years old and out of date. PGP programs have a 3-year implementation period, so to the best of my knowledge, all of the programs on that page have expired. I have searched, but haven’t been able to find a more recent list. I think MEXT may have stopped publishing them (in English or Japanese). It looks like Ritsumeikan either didn’t fill their quota for the PGP program (or had new programs approved) so that’s why they are calling for more applicants. Thank you for all the information you give us in your website!!! I was just informed that the Nagoya university have accepted my application (after a long fight ) but I see a problem rising ahead!!! The thing is that my professor asked me to prepare a certificate of achievement of my bachelor in ENGLISH in case they will ask for it (the office at the engineering school) !!! but my country is French speaker, that means that our second language is not English but French so my former university will not accept to deliver me an English certificate !! Please tell me what to do before the time comes !!! And by the way i was asked to resend the application form because the document has an electronic signature. Ps: I am posting this because i want to share my case with other African French speaker countries. Thank you very much for sharing your story. I’m sure it will be valuable for future applicants! For the English certificate, it sounds like you would just need to get a certified translation of your bachelor’s degree done. You could have that done by a translation company or they might accept it if an English professor from your university (if you have an English department) certifies it as accurate. Thank you for sharing your experience with the electronic signature, too. Unfortunately, Japan does not accept those in general, yet. Thank you very much for your guides. I was asked by the university to revise my MEXT forms and then last week they asked me to resend my revised MEXT forms via post mail. 1. Is this a good indication for passing the screening and the possibility of being recommended in MEXT? 3. Related to number 2 question, is this a good indication that those foreign MEXT applicants like me will get the scholarship recommendation with higher probability? Considering that there are still asking or calling for MEXT applications within the students of the university? 1. That sounds like a good sign to me. If they’re asking you to revise your forms this late in the decision process, it probably means that you haven’t been eliminated from the application, at least. It may vary from university to university, but when I handled these, we would not ask an applicant to post new documents if we already knew that he or she didn’t have a chance to get the scholarship. 2./3. There could be a number of reasons for that, so I can’t say for sure. It could be a whole different category of scholarship (like domestic selection, as you suggested) or a new PGP program. If it’s a different program, it wouldn’t have any meaning for you. Slots are divided among the different programs, so if they have extended applications for Domestic Selection, for example, that would have nothing to do with the University Recommended scholarship for new students. If you could share the link, I’ll take a look at it! Thank you for all the information you poste on your website they are big help for prospective MEXT scholarship students. My case here is i am from Morocco we have our education only in French at the university, so I found difficulties in my application for the university recommendation MEXT scholarship. Fortunately, I have passed the first screening and I will be recommended by the Nagoya university to MEXT, but the problem is that my prospective supervisor asked me to send him a document that indicates that Moroccan bachelor diploma is equivalent to the one in japan form the Japanese embassy!! It was odd because when I asked the Japanese embassy to hand me such document they said it was impossible because they are not allowed!! It seemed logical to me !! I already sent the original certificate of my diplomas signed by the dean of my university in Morocco so I don’t think that I need the equivalence! Please please answer me as soon as you can!! And should I send the certified translated diploma instead (knowing that i already sent him a translated copie by mail but not certified)? That’s a really vague request by your supervisor. I think the problem might be that Morocco uses different terminology from Japan, following the French system. So your high school qualification, the Baccalaureate, sounds like a Bachelor’s degree, which causes some confusion. What you have to prove is not that your degree is equal in quality of education (that’s subjective, anyway), but equal in number of years it takes to acquire it. What you would really need from the Embassy is documentation that your university is officially recognized and considered to be a bachelor-degree level institution. If the embassy still will not help you, other ways you might be able to prove “equivalence” is to show that entry to your university requires 12 years of prior study. This should probably be stated somewhere in your university’s application guidelines. If that fails, then showing that the degree you have is acceptable to other foreign universities as a qualification to enter their graduate schools may work as well. For example, the University of Western London has a list of what Moroccan degrees it will accept as sufficient to enroll in its graduate program. I don’t think your certified translated diploma will help at this point, it’s more of a question of comparing the systems, rather than your personal education quality. Thank you for your answer and all the information you have given me. I did the exact thing you said I send the different cooperations and partnerships that my university have with other foreign universities. Now the professor requested to send him a document that indicates that my diploma is recognized by the Moroccan ministry of education and that was very difficult to get because I already graduated from a public university, so no need to explain my degree (we actually have few private universities in Morocco), what should I do in this matter?? Please help me because I can’t really understand these requests!!! I would think that any sort of official document that indicates that your university is a public university would be sufficient. If the university is public, then it is obviously recognized by the government (including the ministry of education) – since it is funded by the government! Sometimes, you can find that on the diploma itself. Sometimes the university’s website will state that the university is accredited or recognized by the government. (It should certainly say that it is public). If none of that works, you could ask the registrar (or other school official) to sign a letter saying that the university is a public university and is recognized by the Moroccan Ministry of Education. Actually it is the exact thing I did and the embassy of japan in morocco actually helped me to get a decree that indicates that my university was founded by the ministry of education. I also asked my former professor who is also the head of my department in my university in morocco to give me if there is any official document to reinforce my application because I was accepted to be recommended and because I only sent the certificate on my bachelor (since the diploma is not yet ready) I am trying my best. I will inform you if this solution is efficient once I get the reply from my supervisor. It sounds like you’ve done all that you can. If that doesn’t satisfy the university, I’d be shocked. Just a quick Q about recommendation letter. 1. It has an electronic signature of the head of school – do you think that will suffice or do I need a real signature here? Do you think such formatting will be okay? 1) You’ll want to double-check with the university where you’re applying to be sure, but in my experience digital signatures are not acceptable as original signatures in Japan. You will probably need to get a real, ink signature on the letter. 2) The formatting you described should be acceptable. The letter meets the requirements of being addressed to the President. I think it would be slightly more polite to go through the trouble of finding out whether the president was a “sir” or a “madam,” but that’s not likely to have any impact on your application. I afraid that my faculty lecturers and dean would not sign on the recommendation letter. Does that means that I will be facing instant disqualification if that happens? A Recommendation Letter from a Dean or higher is a requirement for the University-recommended scholarship, so you would be disqualified if you could not obtain that. For the Embassy-recommended scholarship, a recommendation from your faculty advisor is sufficient, so you could consider that route, as well! I the case of Embassy-recommended scholarship, how to begin the letter of recommendeation? Is it still “To the President of…..” or something else? Also, for the Embassy-recommended application, there are different (more relaxed) rules on who can write the letter. For instance, you can get a letter from your academic advisor. It doesn’t have to be the Dean. Abit dumbfounded here after following the post. So from my understanding here, do I need to produce a recommendation letter for the university and embassy respectively? Because from what I know, if I am applying for Master program, I will need to have recommendation from both the university I am applying to as well as the embassy, yes? There are two different ways to apply for the MEXT Scholarship: The Embassy-recommended application and the University-recommended application. This post is focused on the University-recommended application process. If you’re applying for the Embassy-recommended scholarship, you don’t need to worry about the Letter of Recommendation instructions here. Just submit the Letter of Recommendation form that is part of the Embassy application package, and that’s all you need! There is no circumstance under which you need a recommendation from the university you are applying to. You need one recommendation from the university you last graduated from, and that is it. You will need a Passing Certificate of the Primary Screening from the embassy as well as a Letter of Acceptance from the universities. I still havent received any updates about the corrections of my forms since last week. Is this a good reason for me to follow up by call or email? It’s really a personal decision as to how often or how soon you want to follow up. When you do follow-up, be sure to keep your message short and polite, but also make sure that it’s clear exactly what you’re referring to. Don’t expect the university to remember you specifically or your question unless you remind them (and/or write your follow-up email as a reply to the message you sent earlier). Good day. Thank you very much for your kind help about preparing these documents. I would like to hear your side for my current situation now. 1. I am done with all the email interviews from the university that I applied. They said that they will be reviewing my responses and that will determine my acceptance at the university if in case I passed their screening. If. I passed the screening, they will endorse me for MEXT scholarship. I am just worried if do I have that change of getting selected considering that there are stuffs I saw from your posts about PGP programs which I’m not sure what is that program, but I guess that will lessen my chance. :S Is there a specific program or terminology in my application or is that just a purely University Recommendation track application? Sorry I’m just confused now. Congratulations on completing the interviews! 1. I don’t know if your application would fall under a PGP program or not. If it does, then that would increase your chances significantly. Unfortunately, I still have some research to do on the most recent list of PGP programs and their eligibility requirements. Based on my past experience, not all of the information about them is made public, so it’s hard to give a concrete answer. 2. It looks like they’ve changed the way that they ask about publications and theses in the new form. In the new version, it looks like they want you to write the title of your graduation thesis – and other papers – regardless of whether or not they were published. If it was not published, you could just put the title and “not published.” For your thesis, writing that it was bound and stored in your university library should be sufficient, but please let me know what the university says. In your communications with the university, make sure you are being more clear and concise. They are not native English speakers for the most part, and may have trouble understanding your question. Short, easy-to-answer questions will probably get a response faster. Also, please understand that they are probably incredible busy around this time. When I worked on these applications, I was often a week or so behind in replying to emails because of the volume of work that goes into reviewing the applications. Thank you Sir for your responses. 2. I also understand now Sir that they are busy this month, hmm, what do you think Sir is the safe time to follow up? Or do I really need to follow up on this case? I already called them up last Dec20(the admissions), and since they dont know the answer to my question(Is it okay to put the graduation thesis title even if it’s not published? ), they asked me to send an email incorporating my question(which I have not received any response) to confirm in their office. Will it be safe to follow up on January? Is it still safe to call them or email this time? (They told me in their email that if ‘I have questions, please don’t hesitate to contact us). 3. Do Staffs and students in Japan have the same breaks? In my country, if the school’s calendar break starts, students are on break(obviously), but staffs(teachers, employees), are still required to go to office to finish paper works. But in Japan, is it also the same sir? Because if I’ll be following up today, I’m not sure if this day is the right timing for follow up? Students and staff do have different breaks from the students. You may even be able to find this in the school’s academic calendar. In many Japanese universities, the fall semester doesn’t end until late January or February, so the winter break is not the end of the semester. The typical break for admin staff this year was Dec 28 – Jan 3 (inclusive). So, if you follow-up during that time, or just before, expect the university to be a little slow in getting back to you! 1. The changes they asked you to make (at least the ones that you mentioned here) are not really significant to the review of your application, so it doesn’t matter if they’re applied to your forms before the graduate school does its review. The way we used to do it is once we had the important parts together – the Field of Study, Transcript, and language proficiency scores, we would send the applications on to the graduate school, even if there were some small corrections that needed to be made in the forms. The admissions office and graduate school would each do their own checks and follow-ups simultaneously. 2. As I’m writing this, all universities are closed for the New Year’s holiday, so I wouldn’t expect any new responses before Jan 4-5, at the earliest. In the end, whether your grad thesis is listed or not is not going to make a difference in whether you pass the screening, so I wouldn’t say it was urgent. Thank you very much for your great sharing about MEXT. 1. I will apply to Kyushu University and Apply MEXT through its recommendation. So Do I have to send them the required application documents following their application guides or MEXT guides? Because I realize that there are different requirements between them. Are they correct? I am not clear about the title of the president. You’re welcome! I’m glad you’ve found it useful. 1) Kyushu University has specific instructions on its website about how to apply for the University-Recommended MEXT scholarship. 2) If you write it following the example at the top of the article above, you’ll be fine. I’m working on a bit of a backlog, so please be patient. You should be able to find it now! Good day. I’m confused in the graduation thesis part. The catch is, I also had my technical paper before which is the pre-requisite of my research proposal. Is it okay if I focus my concise summary of graduation thesis in the recent paper I had done instead of my thesis when I was in college because it is more related to my reseach proposal? In addition, shall I rename it as ‘Outline of Recent/Technical Paper’ or shall I just continue with the flow as ‘Outline of Graduation Thesis’ and include the details of my recent paper??? I don’t think this question is relevant anymore, but the way to title it would be “Outline of Graduation Thesis/Culminating Paper.” The title should always match what is required. For the MEXT application, the university is going to want to see the graduation thesis you wrote for your last degree, if you have one. One of the requirements of the scholarship is that you apply in the same field, or a related field, to what you had previously studied. Your graduation thesis is proof of that. Since you have written a graduation thesis, if your technical paper is not something that you wrote for a university or as a culminating paper for a degree, then that would not be considered an acceptable substitute. By all means, feel free to refer to the technical paper in your Field of Study and Research Program Plan, etc. I’m afraid because it is stated here that the paper “should be related” to the topic of my proposed Field of Study and Research Program Plan. So I’m guessing if I can use my technical paper too because it is REALLY CONNECTED or RELATED to my RESEARCH PROPOSAL. Anyhow, I guess I have no choice but to type my graduation thesis instead though it is not related too much to my RESEARCH PROPOSAL? Will the university/MEXT I will apply for investigate if it’s the Thesis I presented or a Technical paper? The section your are quoting is advice for people who do not have a paper that meets the requirements. In that case, they are still required to submit something, so I have described the best alternative. If you don’t have a thesis and are choosing your most major paper to submit instead, then I suggest that it be related. If you have a graduation thesis, there is no way to avoid submitting that, short of outright lying on your application, which I will not endorse or support. You cannot use your technical paper. I think I mentioned this before, but this is not that significant in the evaluation of your application. It is certainly not a place to cheat and risk losing the whole thing. I am confused on this part, technically, I have already included my technical paper here, as well as the publisher and the date of publication. On the flip side, I am not sure if I will include my graduation thesis here, because it is just hardbound in a photocopy shop ( no need for an official publisher). Do I still have to include my thesis here or focus on the technical paper instead? You should only list published works here. The instructions (badly worded) mean that you should list your graduation thesis if it was published. In your case, based on your description, you would not list it. I would not worry too much about this section. The majority of applicants I saw had no published papers or no papers published in international journals. It’s not a requirement and not as important to the overall evaluation as your GPA or Field of Study and Research Program Plan. Thank you so much for your hard work . – I want to ask you if i can attach an IELTS certificate with the application documents for the Embassy while it’s not required on the Embassy’s website ? – Can i attach a certificate as an achievement ( certificate designed in my field of study) ? Thank you for reading my comments and answering my questions ,I really appreciate it. You can attach additional certificates and documentation, but I don’t know if it is worthwhile to do so. I only have experience processing applications at the university level (for Embassy-Recommended and University-Recommended Scholarships), so I can’t say for certain how the Embassy will handle extra paperwork. At the university, we would ignore any documentation that we did not ask for, because it would have been unfair to other applicants – the screening committees would never see it. It wouldn’t hurt the applicant, but it wouldn’t help either. That said, we did sometimes ask Embassy applicants to submit proof of language ability, so even if the Embassy doesn’t want your IELTS, the universities might want it later. For the professional certification, if it’s something significant and related to both your profession and your research, you can mention it in your research background, or ask your recommender to mention it. Bringing it up in that context would probably be more effective than just attaching a certificate, anyway. Oldly enough, I’ve managed to pass the first screening and receive my letter of acceptance from the embassy in my area. I personally don’t have a very impressive GPA, so I’m a little worried about receiving an loa from a university’s graduate level global studies department. How do you think my chances are? My research proposal and work experience, as it relates to JPN is solid, which give me confidence but at the end of the day my GPA is keeping me up at night. If you’ve passed the Primary Screening, then the embassy should have checked your GPA and you are good to go. For the Embassy-Recommended scholarship application process, the universities’ screening is less competitive than it is for the University-Recommended scholarship. The GPA screening occurs at the embassy stage, not the university stage, so universities don’t have to worry about only selecting applicants with the top GPAs. They will be more interested in your research and whether or not their faculty have the capacity to supervise it. (Language ability will also be important if you’re applying to a Japanese-taught degree, but since you said “Global Studies” I’m assuming that’s in English. It sounds to me like you have a good chance! Hello Travis, what if I am not sure which university to apply to, what do I write in the first point for the recommendation that you mentioned? It sounds like you’re applying for the Embassy-Recommended MEXT scholarship. In that case, you should just use the Letter of Recommendation format given by the Embassy/Consulate. You don’t need to worry about addressing it. I am indeed indebted to the wealth of enlightenment your article provides. Most of my questions found answers here. Thanks for taking your time to put this together. However, I have two of the recommendation letter template already filled out and signed by a recommender. As I am applying for the embassy recommendation, do I still need a letter of recommendation from my dean or what I have is just Ok.
Or do I ask a University Professor to write a separate recommendation letter for me in this regard? Once again, thank you for this beautiful and reliable piece. I’m glad to hear that you’ve found the articles here useful! The requirements in this article are for the University-Recommended scholarship. For the Embassy Recommendation, your Academic Advisor from your most recent degree program could also serve as your recommender. (Of course, Dean or University president is also acceptable for the Embassy). Since I don’t know who your current “recommender” is or their status, I am afraid I can’t tell if your current letter would work. Great job on the guide, comprehensive and well written; definitely one of the more helpful pieces on MEXT out there on the internet. I do have some questions if you don’t mind. I am trying to apply via the Embassy recommendation route, and the problem is my college refuses to give me anything resembling an “Expected Graduation certificate”; and even when I told them that all I need is something saying what you wrote in the article above, they said that they simply didn’t issue certificates like that. So how much do you reckon is not having that certificate, going to screw me over? I do have documents to show that the degree is supposed to normally end in 2017, but nothing like a certificate or an official statement. Also,how important are the English tests? Since I’m going to give a written English test anyways, and be grilled in an interview, shouldn’t that be enough to show how good I am at English? For the Certificate of Graduation, it doesn’t have to be a formal certificate. A freeform letter from the registrar – or possibly even your academic advisor – saying that you have completed all the credits required so far to be on track for your expected graduation date in 2017 might work. You do need to have something, so I would recommend working with the Embassy to see what types of alternatives they would accept. As for the English test, it’s ultimately going to be up to the university whether you need a formal test or not. Where I worked, we required it. We did not trust the exam given at the Embassy since we had no idea what it contained and no way to compare it to our requirements. Other schools may be more forgiving. You still have plenty of time to register for and take a test. I would say it’s better to be safe than sorry, but it’s ultimately up to you! I would like to know tough, to whom do we addresse our letter of recomendation since we are choosing 3 universities ? This article is about the University-recommended application, where you apply to only one university. I’am really gratefull for what you are all giving on this blog, this is literally a gold mine. I wish I had known about it sooner I’d have more motivation and more time for my application. anyway I’am going for it this year, and I have a very specific question actually. In our university for the graduation year we didn’t have to submit a thesis but only a full report of our internship. so what am I supposed to provide instead of the outline for the graduation thesis ?? If you didn’t have a graduation thesis, but had another capstone project (the internship in your case), then an abstract or summary of that project should be sufficient. That was what we asked for. When applicants had no graduation thesis or project, then we asked them to submit an abstract of a major paper (e.g. term paper) in the same or similar field. thank you for the hard work you’ve put to make these articles, i wish I found you before, I made allot of changes to my document so it can become as perfect as possible. I am an applicant for 2017 Monbukagakusho scholarship under embassy recommendation, i graduated from the school of medical sciences so I applied for a graduate school that is close to mu field. your effort has been very helpful however, I have some major questions and minor ones, hopefully you can help me with that. 1) for the recommendation letter, under embassy it’s a bit different form, there is some questions to answer and not much space for elaboration. Should I edit the form? By that I mean: delete the questions and write a paragraph like you explained ? Oh and they say it should come from President/Dean or Adviser of my alma matter…so my last advisor won’t work …! 2) what do they mean by Note 7 ( Number the documents(① through ⑩) in the right upper corner) ? the documents are already numbered! 3) I know you told us not to contact professors yet, but it only makes sense if we can get their “preliminary consent for acceptance” after all the embassy suggested to do that. What’s your opinion on that? After checking the APPLICATION GUIDELINES again, as a research student, I don’t think I am meant to have the Dean’s recommendation but just my last Advisor. For the Embassy-Recommended application process, that’s correct. This article was about the University-recommended application process, which does require the Dean or higher. Thank you for your kind words. I am very happy you found the posts to be helpful! 1) This article is about the Univeristy-recommended scholarship application. As you mentioned, there’s a form for the Embassy-recommended scholarship, so use that instead. Don’t edit the form. (Your recommender can attach additional comments in a letter, if they want). For the Embassy, your last advisor should be acceptable. (That’s what “advisor of your alma mater” means). 2) I’m not sure what you’re referring to, can you link me to a reference? 3) What I meant to say was that you cannot start the process of getting a Letter of Acceptance yet. You can certainly attempt to contact professors to talk about research and network so they’ll be willing to advise you later. But don’t get discouraged if the professor doesn’t reply or tells you to wait until passing the Primary Screening. And don’t assume that the “preliminary consent for acceptance” means you’ll get an LoA. There will probably still be an official application process you have to go through later to get the letter. That’s what I was trying to say. I should revise that article to be more clear. You always impress me about how passionate your when answering your readers, you must be a very dedicated person, this quality alone deserves all respect. I understand that you dont have much time so I thank you again for making time to answer people. Given the situation you described, I would think your chances sound very good, indeed! Quotas for countries exist at the university level for the University-Recommended scholarship, but not for the Embassy-Recommended Scholarship, so you should be fine! This is urgent, I would like to hear your opinion on my situation so I can decide what to do next. It has been a month and a half since I submitted my application to the embassy, I was confident about my chances to enter the interview and convince the committee to grant me the recommendation. But, I still didn’t get any call or email of any sort and they did not publishe results on the official website. Many others of my countrymen are facing the same issue. While in neighboring countries, embassies started calling participants for the exams since the 15th of June. Please Dear Travis, any advice? I think it may seem pushy and rude to call the embassy while they didn’t precise any dates for the process of documents. Sorry I wasn’t able to get back to you sooner. I know that some embassies don’t release their results until the end of July or beginning of August. Yes, it makes it harder for students to get their LoAs. But remember, you only have to submit your documents to the university to request an LoA by the end of August. You don’t actually need to receive the LoA itself by then. Don’t worry too much about surrounding countries – every country works on its own schedule and some are slower than others. If nobody from your country has been called for written or oral exams yet, then you should be OK for now. I don’t think it would be rude to contact the Embassy and ask. You can always take the approach of, “I wanted to make sure that my documents were OK and there was nothing else you needed from me.” Then follow-up and ask when you might hear back about the exams. The worst they can do is say “Wait for us to contact you.” In that case, you’re no worse off than you are now! Since it has taken me so long, I hope you have heard good news back by now. 1. I do not have any IELTS or TOEFL scores, but my whole education has been in English so i still need to appear for these exams or can i apply with this? 2. As I am working now and there is a mention of a letter of recommendation from present employer. Is there any specific format for the same and whom should the letter be addressed to? 4. Do i have to be comprehensive in describing the field of study and the detail study program as I have idea about the field of study but my research topic is not that comprehensive.. So some feedback on the same will be helpful. Your responses on the same will be very helpful. I’m glad the posts have been helpful so far! 1) At least where I worked, we did not accept “My education was in English” as proof of ability, so we required all applicants to take a formal test. Sadly, too many students have come to Japan from countries such as Bangladesh or Ghana (to name a few specific examples I remember) where the education was in English, but the student could not speak English at all. So, universities cannot rely on that anymore. 2) If you’re applying for the University-recommended scholarship, it’s a freeform letter, but it should be addressed to the president of the university, in the same style as the academic letter of recommendation. 3) The term “Research Students” is very confusing in Japan. In some cases (like on the MEXT scholarship application form title) it means “all graduate students.” In some cases, it means a student who is not pursuing a degree. In your case, you want to specify PhD (often in Japan it’s called “Doctoral Program”). The scholarship for the Doctoral Program is 3 years. 4) If you’re applying for a PhD, then you should be able to be pretty specific about what you want to research. Of course, your plan can change later after you are accepted and consult with your advisor, but you should put in a specific idea for now. Being vague or uncertain about your research would make your application less compelling. If you have a past advisor or someone you trust, work with them for now to try to develop a more specific research topic to start. 1. i am applying for the Scholarship directly to Embassy and later i will be contacting the universities so when is the right time to start contacting the universities. And should an individual contact the universities before applying scholarship also as this has been bit confusing for me while I have been reading your blog. 2. Incase the university I am interested does not accept me than will my scholarship get cancelled? 1. I have said a few different things about this in the past, and they might sound contradictory. It is fine to start trying to network with the universities and the professors you want to study with in advance, but you cannot start the formal application process until after you pass the primary screening. So, when you contact them early, it is just to build a relationship to make it more likely that they will accept you later. Does that make sense? 2. If you cannot get a Letter of Acceptance from any of the 3 universities listed on your Placement Preference Form then you would not pass the final scholarship screening. (Your scholarship would not be “cancelled” it would just never be awarded in the first place). However, I’ve never heard of an applicant passing the primary screening and then not getting any Letters of Acceptance! Some Embassies might allow you to change your Placement Preference Form later, but I don’t know for sure. These instructions are for the University-Recommended scholarship application. For the Embassy-recommended application, there is a form that you use instead. You only need to submit one Letter of Recommendation to the Embassy to start your application. It would probably help your application if youare less rude and demanding in your communications with the Embassy and Universities than you were with me. (2) in the field of study and study program form, what did they mean by present field of study? is it the research field I’m going to study in japan or my undergraduate field of study? also in the research topic are we to write just the topic or we gonna write everything like methodology, literature review abstract stuffs like that (3) the third column which is study program please how do I go about it..I’m putting in for pharmacognosy in the graduate school of pharmaceutical science (4) I am from an English speaking country is it compulsory I write any English proficiency test…if i didn’t write will I not be qualified? This article is about the University-Recommended Scholarship. Based on your question, you are applying for the Embassy-Recommended Scholarship, so many of the points above do not apply to you. 1) Make sure the course is taught in English and that the professor you want to advise you speaks English. Aside from that, it shouldn’t make a difference if the professor didn’t reply to your emails – they have no reason to do so. You can’t start the application process to the university until after you pass the Primary Screening at the embassy, so from the professor’s perspective, there is no benefit to replying. 2) Present field of study = What you majored in during your last degree, including the theme of your graduation thesis if you wrote one or most significant work, otherwise. You will write about the field that you want to study in Japan in the next question, but that question should focus on the research topic and the angle you want to explore. 3) The third column is where you write your methodology, timeline, literature review, etc. It is the specific steps you will follow to carry out the research you described in question two. 4) Unless you’re from the US, UK, Canada, Australia, or New Zealand, yes, you will have to submit proof of English proficiency. Sign up for a test now and you should have your scores in plenty of time. Completing your undergraduate degree in English or coming from a country where education is conducted in English is not sufficient proof of ability for most universities. Dear Tran Senz..first of all lots of thanks for this marvellous blog. Now i have one question , hope you will support. I am applying through the embassy recommend format. For that, i need the recommednation letter from my universtiy and the format as pointed by embassy( http://www.np.emb-japan.go.jp/research_recommendation.pdf) is like in bulleted list. So, do the recommender have to write in a paragraph page format or just list the points. Also , i could not find about the recommendation letter article (embassy recommeded) in your website. If you do have posted already, then please suggest me the link. The recommendation letter for the Embassy-Recommended scholarship is a very straightforward form (the one you linked) and all the instructions on it are clear and self-explanatory, so I didn’t write an article about that. 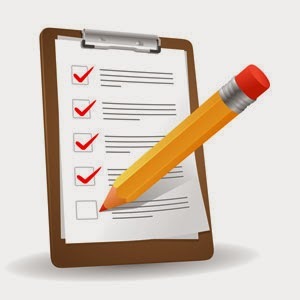 The recommender has to fill out the form completely and may (read: “should”) attach a separate, free-form letter in paragraph format, as stated in the form. Hi Travis. You’re such a great help to everybody who wants to apply for MEXT scholarship! – I am currently an out-of-school and not a college graduate. I only have a total of 2 years in college. I want to apply for undergraduate program of MEXT scholarship. Am i still eligible? – regarding the Letter of recommendation, to whom it should be address since I haven’t chosen yet a university to apply and will be sending it to the embassy for now? – As long as you have completed high school/secondary school (and I assume you have, since you said you have some college experience, too), you should be eligible. Your birthday has to be between April 2, 1995, and April 1, 2000, though. – For the undergraduate scholarship, the letter can be written “to whom it may concern” or to the embassy. The rule in this article that it must be written to the president of the university is for graduate students applying for the University-recommended scholarship, so that doesn’t apply to you. Thanks for a great series of articles Travis. I have a few questions. 1) As I am applying for the embassy recommend scholarship and thus 3 universities, to whom should the letter of recommendation be addressed? Should I address the embassy, or the Presidents of the 3 universities? If the latter, should I create 3 different copies, each addressing the president of one university? 2) I understand that a recommendation letter from the Dean is not necessary. My academic advisor holds the position of Lecturer, not Professor or Associate Professor. Will a recommendation letter signed by him be sufficient? For the Embassy-Recommended application, this article does not apply! These instructions are for the University-recommended MEXT scholarship application. You need to submit the Letter of Recommendation to the Embassy first, so don’t worry about the universities yet. 2) For the Embassy-Recommended application process, that is correct (Although a letter from the Dean or President would probably be more valuable). It does not matter what position your advisor holds. However, this article is about the University-Recommendation application process, so for anyone else reading this, they would need a letter from the Dean or higher. Would I be wrong if I take the letter of recommendation from college chief of my undergraduate level ? I don’t know what a college chief is. A Dean is someone in charge of an entire faculty – all the professors and all the students in a certain field of study (e.g. engineering). If the “College Chief” is a similar level or higher, than that would be OK, but I can’t say for sure. I asked my embassy about this requirement and they told me a former professor’s letter of rec. was sufficient. Should I be worried? What is the best way to input junior/community colleges? I asked my embassy about this too because my official transcripts state my degree award dates. However, they told me I still need a separate certificate. My registrar office has sent me my diploma, under no circumstances do they issue copies, is a photocopy acceptable? Should I be worried? I was a double major and had no thesis requirements. I am not sure what to do, I could dig up some old essays, but they are not directly related to my research proposal. Should I just pick what is closest to my proposal and summarize it on a half sheet? I’m glad to hear the information was helpful! The instructions on the page you commented on are for the University-recommended scholarship. For the University-recommended, you need a Letter of Recommendation from the Dean or higher, but for the Embassy-recommended, a professor is sufficient. I guess the Embassy process is different here. A photocopy that is certified correct by the university registrar or a notary should be acceptable. You could also obtain a letter signed and sealed by your registrar verifying that you graduated (and your degree) on a specific date. When applicants did not have a graduation thesis, we recommended that they do exactly what you suggested – choose a term paper, etc., that was most similar to your proposed research topic and provide an abstract of that. Thank you so much for providing such an important information! This is really helpful. I’m applying for English-taught course (passed TOEFL), but I can optionally submit Japanese Language-Proficiency Test. I’ve passed N5 in 2014 and failed N3 in 2015 (with a score of 74). Is it a good idea to submit them? If yes, which one would “look better”? It won’t hurt your application to submit your JLPT scores. It won’t necessarily help your overall application, but it will demonstrate to the university that you’re serious about studying in Japan, and that can help your application get more traction. I would submit both, possibly even stapled together, in your situation. Realistically, only a passing certificate counts for anything, but there is value in showing that you are continuing to study and aim for higher standards. It might help and it might not, but it certainly shouldn’t hurt you! thank you for the time and efforts you put into informational resource! It really helps!!! I have question about CERTIFICATE OF HEALTH. I’m from non-english speaking country. So medical center’s stamp and physician’s personal seal aren’t in English. Is it OK to leave it as it is? Or it’s necessary to obtain the notary certified translation? I would recommend asking your physician to write out his/her name and the address of the hospital/clinic in English letters then stamping the seal partially overlapping the writing. The seal itself doesn’t necessarily have to be translated unless the meaning is unclear. So long as the required information is there, that should be fine! All the entries in the form should, of course, be in English, as well. Those who apply for this scholarship at more than one university at the same time, those who will be applying for a Japanese Government Scholarship (Embassy Recommendation) for foreign students/research students in Academic Year 2016 or a JASSO Student Exchange Support Program Scholarship in Academic Year 2016 are excluded. Therefore, I would like to ask if is it prohibited by MEXT to apply via University and Embassy at the same time ? Or that is an internal rule of Kumamoto University? Thank you for your kind words. I’m glad this article is helping someone out there! As I understand it from when I processed these applications, it is forbidden to apply for the University-recommended scholarship at more than one university at a time. I had never seen the rules prohibiting applying for both Embassy and University in the same year. 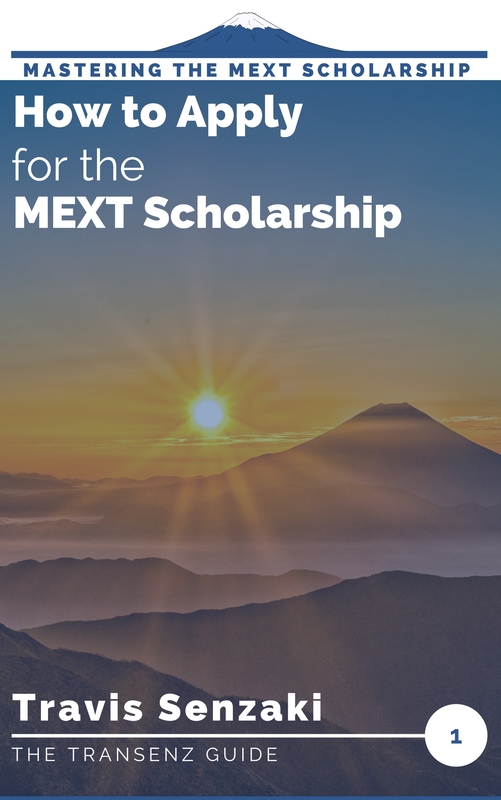 MEXT specifically says that universities must ensure that applicants are not going to receive two MEXT scholarships at once> Kumamoto’s rule may be their way of ensuring that. On the other hand, if you have passed the Primary Screening of the Embassy scholarship and received a Letter of Acceptance, you are all-but guaranteed to get that scholarship, so I wouldn’t worry too much!